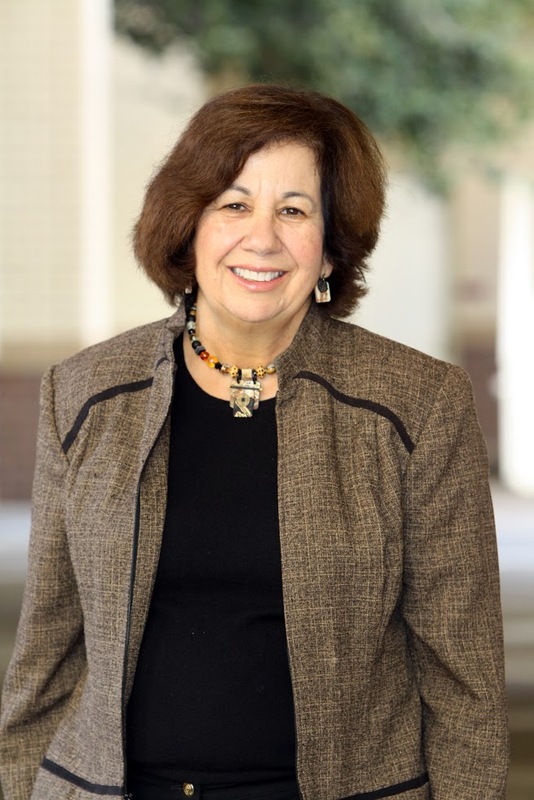 On Friday, February 13, 2015, I had the privilege and distinct honor of interviewing Dr. Vicki Ruiz, Chicana scholar, historian, and professor at the University of California, Irvine. This was the second interview in our Borderlands History Interview Project (BHIP) and it was marvelous. We discussed her views on balancing work and life, her current projects, her take on borderlands history and its significance within the canon, as well as critical intersections between race, gender, and class within our scholarship and the academy. What follows is a sliver of Ruiz’s curriculum vitae, but it highlights some of her many achievements. In 1982 Vicki Ruiz was one of the first Chicanas to graduate with a PhD in History from Stanford University and since then has been at the forefront of Chicana/o and Latina/o history in the United States. She’s published over fifty articles and over a dozen books, most notably Cannery Women, Cannery Lives and From Out of the Shadows: Mexican Women in Twentieth-Century America. In 2012 Professor Ruiz was the first Latina historian inducted in the Academy of Arts and Sciences in recognition of her research which “helped to establish the field of Chicano/Latino history.” She is the outgoing president of the Organization of American Historians and the president elect of the American Historical Association. On February 20, 2015 there was a conference, Nuestra America: Rethinking Frontiers in US History, honoring the career of Professor Ruiz. She was named 2015 Women’s History Month Honoree by the National Women’s History Project. Currently she is Professor of Chicano and Latino History at the University of California, Irvine. By diligently following her “one hour-a-day” rule, Ruiz continues to produce innovative work focused on the lives of Latinas in the United States. Indeed, her current project has brought her back “full circle” to the life of Luisa Moreno. Working with Al Camarillo, Vicki Ruiz is focusing on the life of this dynamic woman whose connection organizing cannery women in Southern California spurred Ruiz’s earlier work. Ruiz contends that Moreno’s life exemplifies borderlands history, because she was a physical as well as a metaphorical border-crosser. Moreno’s feminist philosophy developed as her life became complicated by moves across national boundaries. For instance Moreno’s entrance into the United States from Mexico occurred in tandem with the Great Depression, changing her life from that of a bourgeois intellectual into an organizer. Moreno’s life lends itself beautifully to a historian. Ruiz explained how biography aids our understanding of individual lives and deeply complicates larger historical moments. During the interview, I noted the move of Chicano/a historians toward biography—particularly Ruiz and Ernesto Chávez, who is currently working on a biography of Ramon Novarro. Ruiz agreed that focusing on biography can help greatly to expand the field of Chicana/o studies as well as borderlands history. Indeed, as a historian who believes that borderlands “brings a fuller recounting of the American experience,” Ruiz’s emphasis on Moreno’s life does just that. It looks at the ways in which one woman traversed international, social-economic, and cultural boundaries in order to create her own life as a vibrant activist. In many ways Moreno’s career and life is very much like Ruiz’s in that they are both intellectual migrants searching for new knowledge as a means of empowering themselves and the women around them. Animating Moreno’s political life and career allowed Ruiz to further discuss her ideas about borderlands history and its connection to Chicana/o and Latina/o studies. Ruiz contends that “Chicano/a history revitalized borderlands history and injected new ways of knowing.” Tracing the lineage from Ramon Gutierrez’s When Jesus Came the Corn Mothers Went Away, to James Brook’s Captives and Cousins, and Ned Blackhawk’s Violence Over the Land, Ruiz notes that each one helped to open new pathways of understanding colonization, material culture, and the complex lives of those in the borderlands. Her enthusiastic vision of borderlands history as a contested space in constant flux, should inspire us to reach for new frontiers in the field. Understand that this is a brief synopsis of our talk and that Ruiz’s passion helped push the conversation in various directions. I must admit that I was nervous. Many of you probably had the same connections to Ruiz that I did, namely reading her books and articles as undergraduates. I was further encouraged by Ruiz’s protégé, Dr. Naomi Quiñonez at San Francisco State University, to continue my education and apply to graduate school. Ruiz’s reach is profound and still she managed to make me feel comfortable and at ease and shared with me moments about her career that could have stopped her in her tracks. Ruiz described painful memories of past colleagues who underestimated her impact in U.S. history and success in the academy. And yet, she persevered. I encourage you to listen to her voice and enjoy her wisdom. During Women’s History Month, I ask us all to reflect on the women that have helped to open the paths before us, and to embolden those who continue to work tirelessly to create new knowledge. Vicki Ruiz is a trailblazer and if we are to honor her career, we must continue to “pay it forward” by fostering new areas of research and supporting each other as we move ahead. ¡Gracias maestra! I would like to thank Marko A. Morales for editing this interview, Mike Bess for fabulous tech support, and Guillermo Morales for reading drafts of this short post.